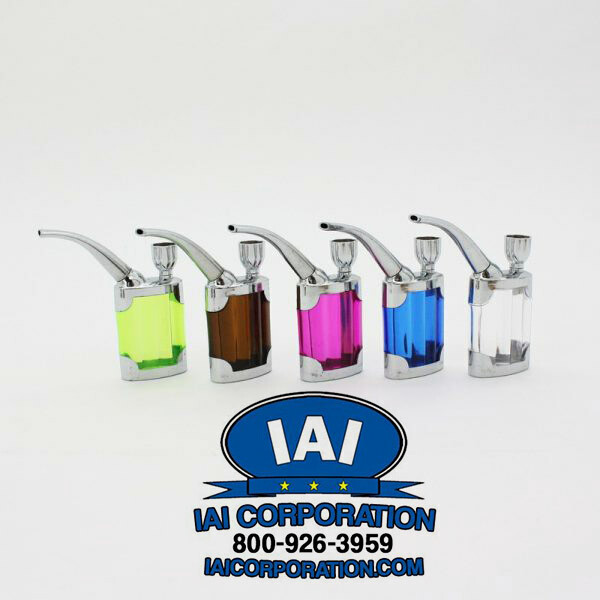 We take great pride in being the metal smoking pipes wholesalers that our clients can depend on. Your customers want the best in metal pipes. Of course, “the best” incorporates a lot of different factors: function, style, usage and so much more. So, we offer as wide a range of metal pipe products as possible. That way, you can find the products that your customers want the most. In this blog, we’ll go over some of the metal pipes that we have available as well as the reasons that your customers may want them. One thing you can count on with our metal pipes is durability. Other places may offer “metal pipes” only for those pipes to be made flimsy, out of lower quality metals (that may even be barely classified as “metals.”) Here, our metal pipes are built to last. Your customers are counting on quality. If a metal pipe breaks down on them after only a bit of use, they aren’t going to want to come back for more. That’s why we offer quality metal products made from real metals at low prices – so that you can give your customers what they’re looking for. 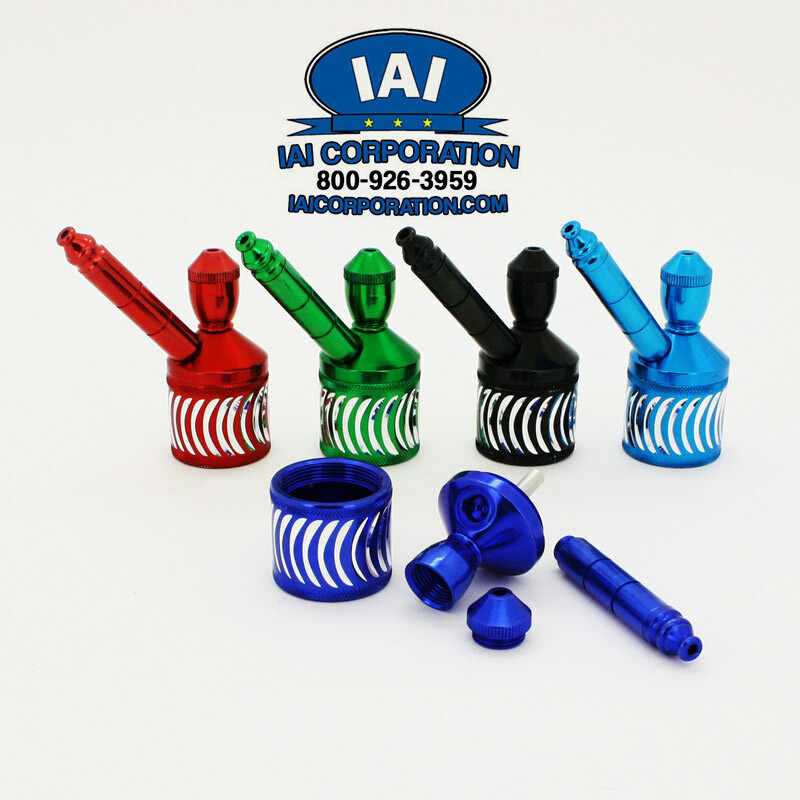 We offer “Classic,” “One Hitter,” “Chamber,” “Sneak-a-toke” and “Wooden” metal pipes. That kind of selection means that you can find the kinds of metal pipes that your customers will want. We have many products like the “Simple Metal Smoking Pipe.” While this basic design gets the job done, even these so-called “simple” pipes have a lot to offer. For example, we all know how hot pipes can get when you’re smoking them. No one wants to get burned while they’re smoking or passing. So, these pipes come with a plastic sleeve. That way, the pipes never get too hot and you won’t get burned. For added customization, these pipes are sold in various colors. More options bring in more customers. We want to make things easier on your customers. For example, the standing chamber metal pipe has detachable pipe parts. That makes cleaning so much easier. Instead of having to dig into a small area, this greater access enables simpler cleaning. By that same token, the pipe was designed to be easier to load, too. So, firing it up while you’re out and about is simple, too. The problem of herbs falling out when you aren’t using the pipe has been addressed, too. See, that’s where the “standing” part comes in – the pipe’s flat surface, keeps it balanced so that it can “sit up” and keep the herbs in one place. By offering innovative designs, we’ve helped so many people to get that much more out of their pipes. We’re always looking for ways to offer sellers more. The Phoenix Metal Pipe set, for example, comes with a free display. Ordinarily, this standout display would cost around $40, but we’ll throw it in for free. This display really makes the pipes look great, and can easily grab the attention of anyone that comes by. Of course, if you need more than one of these, we can offer you an even greater discount. That discount exists as of this writing, and it’s important to note that we’re always offering more discounts. Check our site often to discover all of the constantly updated discounts that we have to offer. “Offering more” is an ethos in both our discounts as well as our products. For example, some of our metal pipes come with stash rooms and grinders. That way, your customers can enjoy a more complete smoking experience for less money. As with so many of our other products, we have multiple colors available. That way, your customers can truly make their metal pipes their own. Another kind of metal smoking pipe that people absolutely love is the “flashlight keychain.” To all the world, it just looks like a small flashlight on a keychain. However, it’s actually a metal smoking pipe. This is the kind of metal pipe that anyone can carry everywhere they go. While it may look like a flashlight, with just a simple unscrewing, you can pack it and smoke it. That kind of innovation sets these metal pipes apart. Of course, we have so much more to offer than just metal pipes. Glass pipes, scales, and so many other products are available – many of them at volume discounts. So, the more of our wholesale products you buy, the more you’ll save – which can help your business tremendously. We’re always looking for ways to help our clients, so be sure to check our site often to see what the new products are. For more information, give us a call at (800) 926-3959 or head to our site.